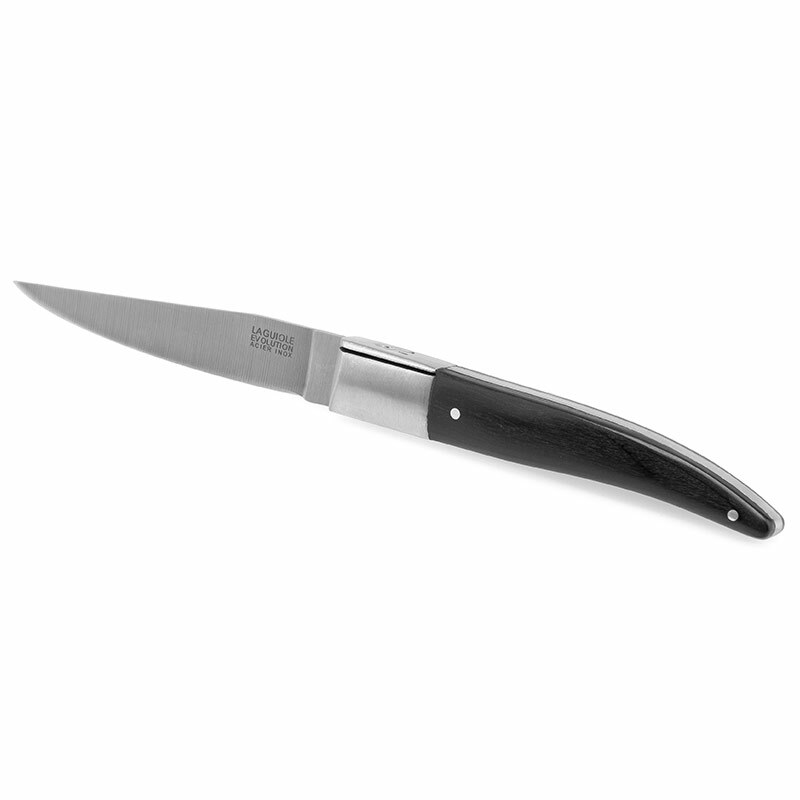 Manufactured in Thiers by TB Groupe, top selling knife maker in France, The Laguiole Expression pocket knife possesses a rich in chromium blade that ensures efficient resistance to corrosion. The 420 stainless steel used for the manufacturing of this thick 3mm blade gathers the ideal percentage of carbon in this alloy and consequently ensures a very performing cutting power. 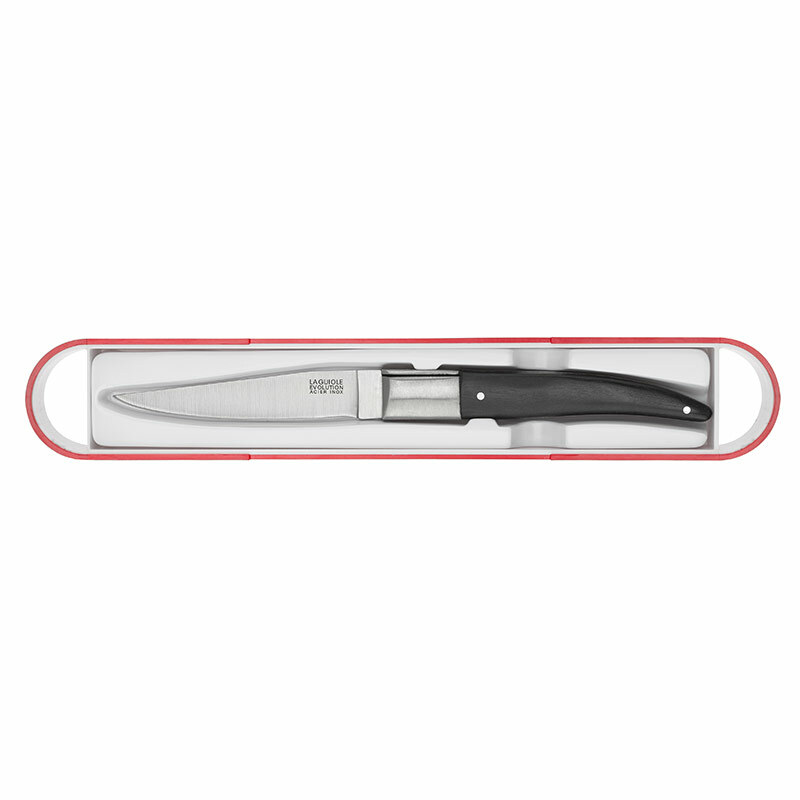 This pocket knife is delivered in a handy and reusable bento box. 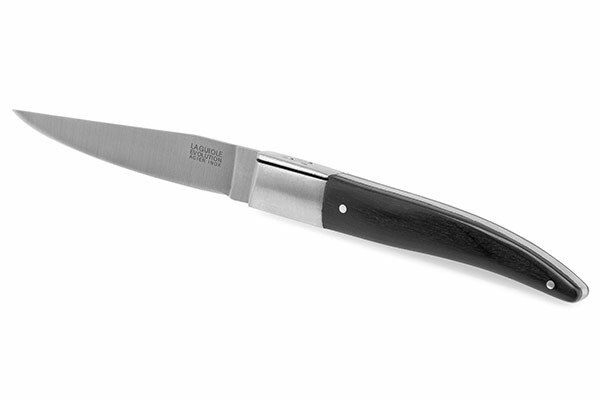 Mobile tool by excellence, the Laguiole expression pocket knife is a useful ally outside as well as inside the house. It can cut food, plants and small branches with great comfort. This multi task blade is very easy to handle thanks to the ergonomics of its polymer handle. Light, robust and shock-resistant, this polymer is often used for the manufacturing of high-end cutlery products.